Trump, UAE Leader Push for Unity in Gulf Amid Standoff - Integration Through Media ....! 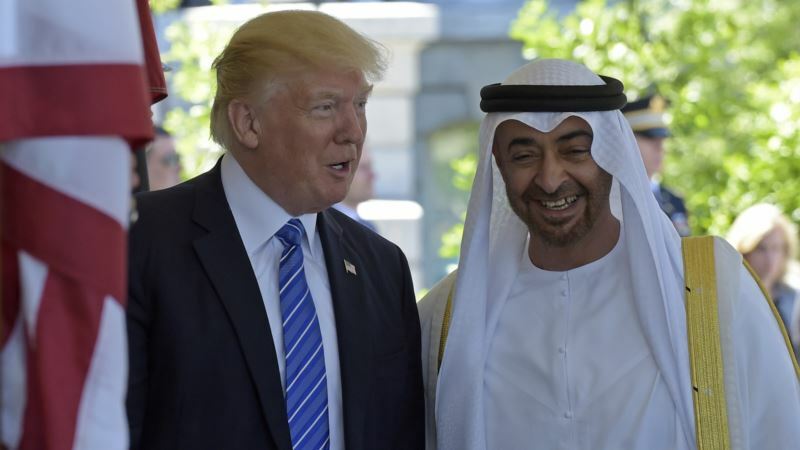 (VOA): U.S. President Donald Trump and Abu Dhabi Crown Prince Sheikh Mohammed bin Zayed of the United Arab Emirates agreed Friday to push for unity among Gulf nations, the White House said, amid a bitter standoff between Qatar and other U.S. allies in the region. The two leaders agreed in a telephone call that members of the six-nation Gulf Cooperation Council “can and should do more to increase coordination with each other and with the United States,” the White House said in a statement. The UAE, along with Saudi Arabia, Bahrain and Egypt, cut off travel and trade ties with Qatar last June, accusing it of supporting terrorism and their archrival Iran. Doha has denied the charges and has said the countries aim to curtail its sovereignty. The dispute pits key U.S. allies against each other and has complicated efforts to maintain a united front against Iran. Earlier this week, U.S. officials said the Trump administration was postponing until September a summit with Gulf Arab leaders that had been planned for May. A crowded diplomatic calendar and lack of progress in negotiations to end the dispute were cited as reasons by officials. Trump last month met with Saudi Crown Prince Mohammed bin Salman, who was on multiweek tour through the United States and is scheduled to meet with Qatari Emir Sheikh Tamim bin Hamad al Thani April 10. This story was written by Reuters.